The 2018 Atlantic hurricane season runs from June 1 to November 30. 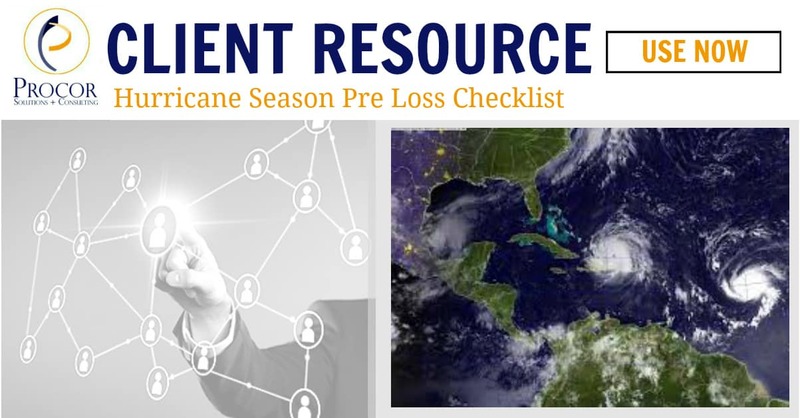 According to research this season may pack a punch and businesses’ with property or risk in the Atlantic Ocean, Gulf of Mexico and/or the Caribbean Sea should be prepared. 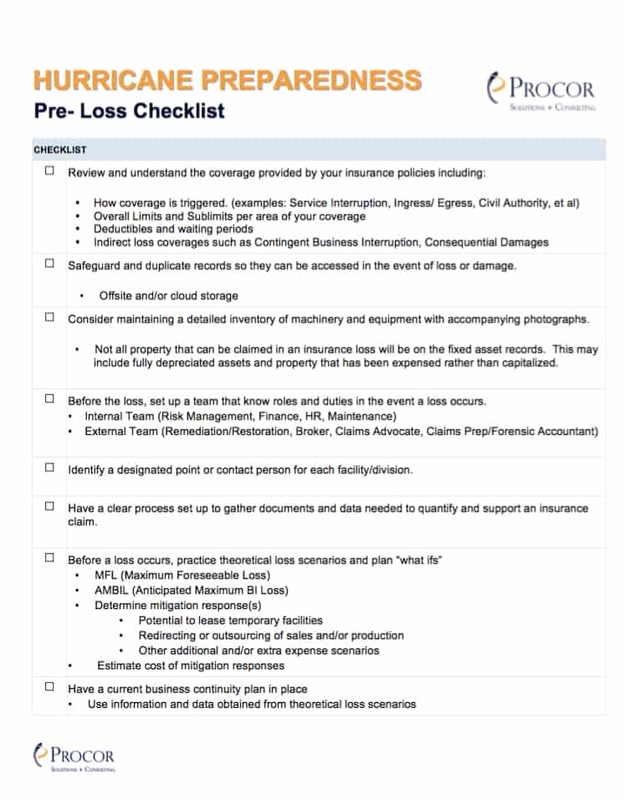 In light of these initial forecasts, Joe Critelli of Procor Solutions + Consulting has compiled a checklist for clients that can assist decision makers in preparing for this upcoming above-average hurricane season.